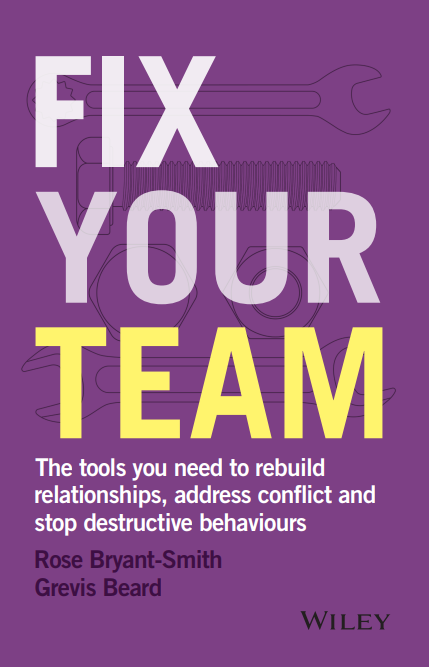 In today’s business and regulatory environment, the effective management of risk and the maintenance of an ethical, respectful and constructive workplace culture is fundamental to your organisation’s value proposition. A simple and accessible independent whistleblowing system should be a key part of your risk management and compliance strategy. The challenge for employers often lies in providing a safe and secure channel where staff and other stakeholders feel comfortable and confident in reporting their concerns about inappropriate behaviour they experience or have witnessed at work. It is important to remember that not all staff feel able to report their complaint directly to their manager or HR – and some staff may only be willing to make their concerns heard anonymously. Our experience is that the earlier a concern is identified and dealt with, the better the outcome for all concerned. minimises the impact and costs of workplace misconduct. 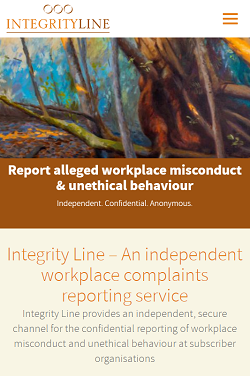 Worklogic has established Integrity Line, an independent workplace complaints receipt service, where your employees and other stakeholders can confidently, securely and anonymously (if they wish), report inappropriate behaviour at your organisation. Concerns can be reported via Integrity Line’s telephone service (1800 468 456) or Integrity Line’s secure online reporting system. The annual subscription for the IntegrityLine depends on the number of total potential people you want to be able to access this service. For most subscriber companies, this equates to the number of employees. However, some companies also encourage customers and/or members of the public to use the Integrity Line service. We charge a modest annual subscription, in addition to our hourly rate to handle any complaints (ie, if there are no complaints, there is no additional charge). An invitation for two senior staff to attend an annual half-day workshop conducted by our exceptional trainers on current topics of workplace best-practice. For large organisations, and employers who wish to tailor the service to their own branding and policy provisions, we can create a customised whistleblower service to meet your specific needs. customisation of the online reporting form. Book an obligation-free, confidential consultation to discuss how your organisation could benefit from an independent workplace complaints reporting service. "Worklogic’s combination of professionalism and values make them a compelling and trusted service provider. We have engaged Worklogic for policy development, training and mediation and on all occasions have found them highly effective in achieving a sustainable outcome for Justice Connect and our staff." In all of our dealings with Worklogic, we found them to be professional, understanding and sensitive to the issues we were dealing with and the confidentiality surrounding these. Worklogic was an excellent resource and provided valuable assistance with some complex and difficult matters. Download the free Worklogic research paper "Aftermath or Afterglow: Improving Workplace Culture and Team Dynamics after a Misconduct Investigation"